If you have a gaming display or in a search for the best gaming monitor, then you most probably aware of the 144Hz refresh rate. Most of the sites and products listings say that the 144Hz monitor is the current best in the field, especially for the gamers. But, is 144Hz worth it really for the games? Or it is just a higher refresh rate which does not affect too much on viewing rather than picking up a few dollars more from your pocket? Well, let’s find it out here. Is a 144Hz Monitor Worth it? There is a myth that for any game a 60Hz monitor refresh rate is enough and above that, all is just wasting of money. I will clarify about this as a 144Hz refresh rate offers some significant advantages for the users, especially to the gamers. 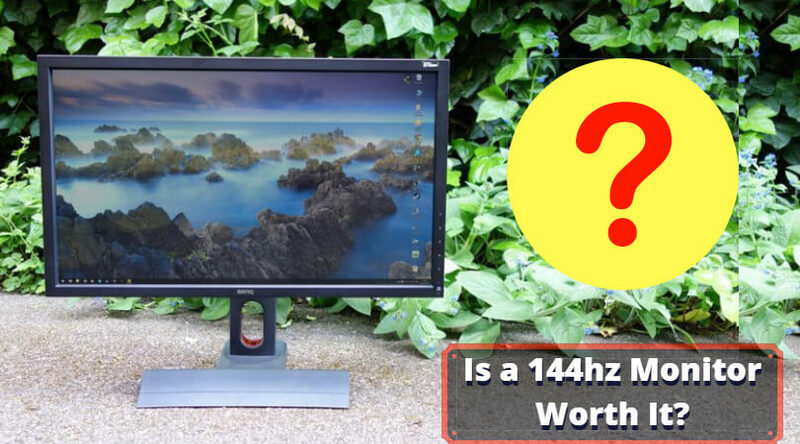 What is a 144Hz monitor and what it provides? You may know that the refresh rate of a monitor is a number of times for which the screen refreshes per second. It is measured in the unit Hertz. And so, a 144Hz monitor means the frames will be updated 144 times in a second. It is true that our eyes can see only a maximum of 24 frames per second, but that does not mean that you don’t need a good ratio of screen refreshment. Compared to a 60Hz monitor, the 144Hz refresh rate gives brighter and sharper images with minimal or zero lagging. You will get visually smoother performance for each frame on your screen even for the high-end games like CS: GO. Though our eyes can see only 24 frames maximum per second, our powerhouse mind which has no any less processing potential than a supercomputer, we can easily see visuals even with high fluidity. And that’s why 144Hz is an excellent option to get for gaming. Why should you get a 144Hz monitor? Let’s see this as an example of the Counter-Strike: Global Offensive. When you play this high-end shooting game, you will see a clear difference between the 60Hz and 144Hz monitors. If your game is supporting 120Hz or more (like the CS: GO), but you have only a 60Hz refresh rate in your display, then you will get only the half of which the game is giving. But if you have a 144Hz monitor, then you can have a visual of them all. If you are using an Adaptive Synchronization Technology like NVIDIA G-Sync or AMD FreeSync, then the gaming experience will even get better than ever. Such technology along with a good refresh rate gives you flicker-free and strain-free visual images while playing fast action or racing games. Though the 144Hz refresh rate in-self will provide crystal clear images on each frame, combining it with Adaptive Sync will add an extra flavor to your dish. Moreover, a 144Hz refresh rate eliminates all the ghosting effects that can be seen on the screen with lower refresh rates. Ghosting means a black portion or image residue on the screen while playing games which sometimes become a very annoying problem. 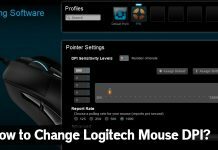 Till now, we have seen that how beneficial a 144Hz monitor is for the gamers, especially for the first person shooting games. Stunning visuals with better frame rates and zero ghosting clearly put you ahead than your allies and enemies in the multiplayer games. Only one disadvantage or say an unlikely thing about the 144Hz screens is that they cost more and can go beyond your budget for buying the best gaming display, especially for a USB monitor. Any 144Hz monitor can easily go above $700 at the current time, and that is too much for some people. This is almost double than a 60Hz monitor’s pricing. 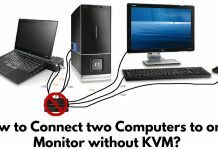 Also, to use such high-end monitors, you will need a good-quality Graphics Card that is compatible with it. So, that can also affect your total amount. Some of the top brands already preparing 144Hz monitor below though which helps the gamers to build their dream system without affecting too much to their bank savings. So, is 144Hz worth it or not? Absolutely, yes. Once you get going with the 144Hz monitor, I can assure you that you will never look back at 60Hz displays. 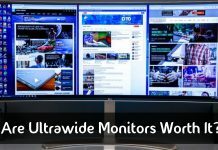 144Hz monitors provide superior performance than the 60Hz displays. Though our eyes cannot see too many visual images with great fluidity, such higher refresh rate clearly provides differences in the viewing. You need to choose a high-quality graphics card, RAM, and processor to make a compatible system with 144Hz screens. The screen tearing, lagging, and ghosting will be eliminated while using such technology. Most of the top sought 144Hz monitors cost above $700 which can make a big hole in your pocket. All these above things summarize that apart from costs of the monitor, RAM, processor and graphics card, a 144Hz display is a worth to buy product. And that is the reason that more and more users are adopting this high-end screen specification today. Some brands already started manufacturing and selling low-cost 144Hz monitors to help budget-gamers building their favorite gaming PCs. What do you think about it? Do you own a 144Hz monitor? Will you prefer to go for a 144Hz display for your gaming PC setup? Share your thoughts in the comment section below.